Believe it or not, Photoshop Elements 11 isn’t just about photos and painting. It also has a set of shape-drawing tools — six, to be exact. You can fill those shapes with solid color, gradients, or patterns. When you create a shape, you’re creating a vector–based object: The shapes are defined by mathematical equations, which create points and paths, rather than by pixels. The advantage of using vector-based objects is that you can freely size these objects without causing degradation. Additionally, they’re always printed with smooth edges, not with the familiar jaggies you see in pixel-based elements. 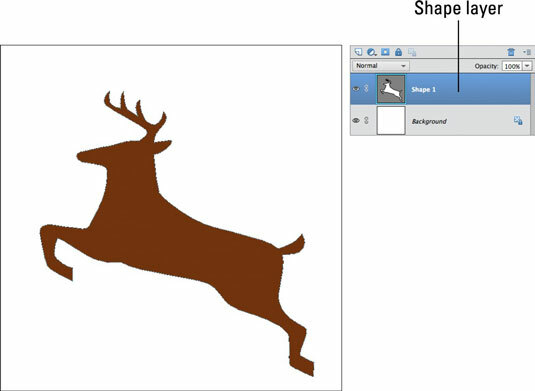 To create a shape layer, grab a shape tool from the Tools panel and drag it onto your canvas. When you create a shape, it resides on its own, unique shape layer. Although you can move and transform shapes and adjust the Blend modes and opacity, your ability to edit shape layers is limited. To apply filters and many other special effects, you must first simplify the shape layers — that is, convert the vector paths to pixels. 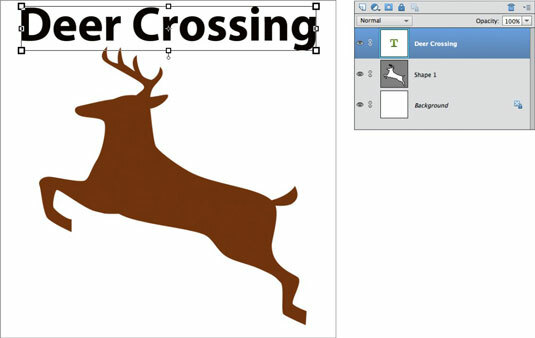 To create type, such as the type shown, click the canvas with the Type tool and type some text. After you commit your text by pressing Enter on the numeric keypad, clicking the Commit button (the check mark icon) in the Tool Options, or pressing Ctrl+Enter (Command+Return on the Mac), you’ve created a type layer. In the Layers panel, you see a layer with a T icon, indicating that it’s a type layer. Initially, the name of the type layer corresponds to the text you typed. (You can change the layer name, if you want.) Like shapes, the text in Elements is vector-based type and, if left in that format, always prints smoothly and without the jaggies. Another useful aspect of type in Elements is that it’s live: You can edit the text at any time. Besides being able to change the font and size, you can change the orientation, apply anti-aliasing (softening of the edges), and even warp it into various distortions. You can transform, move, rearrange, copy, and change the layer options (opacity and mode) of a type layer just as you can for image layers. If, however, you want to apply filters, you must first simplify (convert into pixels) the text.